Yup, that's the announcement. 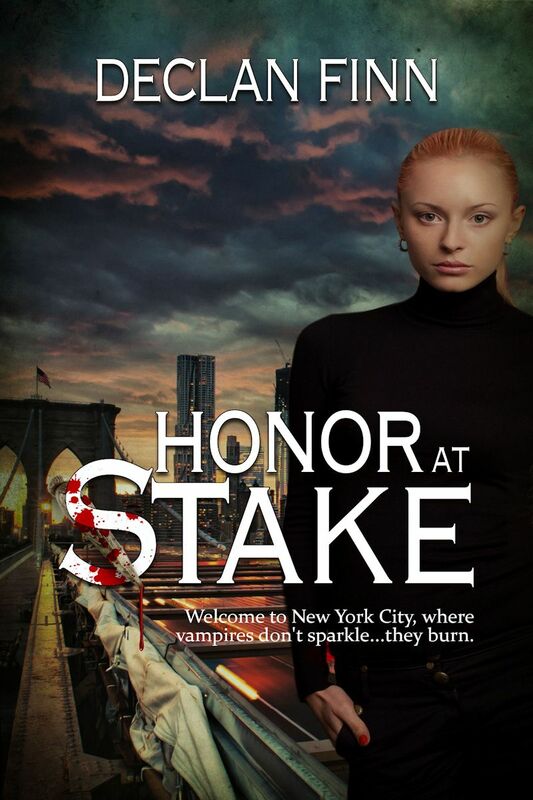 My vampire novel, Honor At Stake, is coming out on September first of this year. And I'm doing another announcement on The Catholic Geek this Sunday, but whatever. If you don't remember this book, I don't blame you. I haven't talked about it all that often. It's the vampire novel with Catholic philosophy and metaphysics, jammed together with every traditional myth about vampires, for an interesting little mash-up. Oh, here's one of the better parts of being an author with, of all things, a real publishing house. I'm actually kind of happy that they chose this one. Because it wasn't number one. I had put in several. 1: One is a heartless, merciless killer. The other's a vampire. 3: Welcome to New York City, where vampires don't sparkle. They burn. This is more or less the finished cover. All-in-all, I'm really happy with this. At a later date, I'll start working on a post that will show you the evolution of this cover, but for now, I'm going to just smile and say "oohh, shiny." She lives in a nice apartment in the mid-70s, on Manhattan's Upper East side, and has an impressive array of weapons collected by her family over the past century. As the two of them draw closer, they each have to find the line between how much they can trust each other, and how much they can care for each other. For each one carries a secret that can destroy the other. One is a dark, monstrous fiend who enjoys killing, and the other's a vampire. Yes, yes, I'm told the opening may be too wordy, and I might be talking about too many little details along the way. Oh yes, and Come now, Declan, another dark, dangerous character, isn't Sean Ryan enough? Sean is a strange, strange man who really enjoys his job, but unless you actively annoy him, he doesn't go out of his way to harm anybody. He's the sane one. So, what's next? Does this book cover herald a new era in which the blog shuts down? Nope. The Pius Trilogy may not be finished just yet. Remember, The Pius Trilogy is under review with Chesterton Press, to some extent, so it may come out in a reissue with all-new covers. We'll see. Also, I'm going to start coming out with short story collections of my Pius stories, including the ones that are all-new. Why am I doing that even though they're free on the site? Because Scribd is starting to worry me, and that's how I embedded all the stories in the blog. Also, I don't mean there's going to be a book four, but characters and situations will carry over from TPT into the rest of my work. You know, when publishers stop vying for it. Keep in mind, my vampire books are a quartet. But you know me, when I write something, it has this bad tendency to spiral. And fractal. And a few other things. My High School Murder series have been picked up by Damnation Press, so I'm going to spend a lot of time in the next year or two on that and my vampire series projects ... unless someone else wants to make me an offer. Speaking of offers, Codename: Winterborn was rejected by Liberty Island, and I suspect that Codename: UnSub will be as well. So, UnSub may come out sometime this year. Yes, because I'm still going to self-publish novels. Because sometimes it takes too long, and I've got other products in the pipeline. Up to and including the Sad Puppies Bite Back. Yes. This thing that started as an odd little fever dream may actually be sold, for real money. Yes, I'm taking everyone's word that they're serious about that Hugo nomination. I don't think that my publisher would really hate it if they had a Hugo-award nominated author. It's something to put on the fly leaf. Maybe it can even get me into DragonCon next year. Oh, yeah, for the record, I will not be coming to a convention near you. 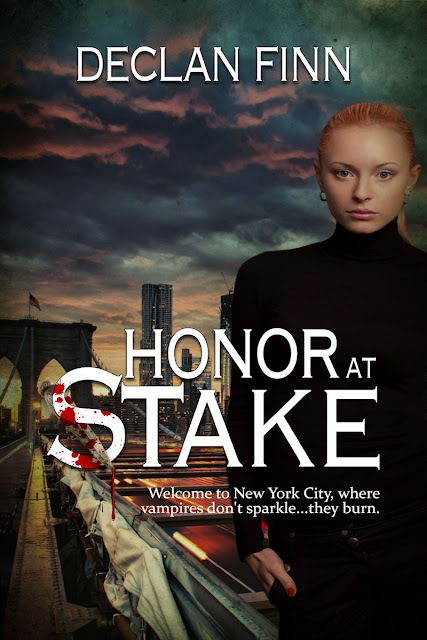 I was informed of the publication date on Honor At Stake just this week, and when I went to look, I found I was too late for the deadline. Yes, I'm an idiot, but I wanted to make sure I had something to talk about -- you know, from a "real" publisher -- before I tried again. Yes, again. Pius and Winterborn didn't even make an impression on them. So I'll have to settle for local cons and bookstores, if they don't give me an attitude. Is there a way to get your books in epub? OR you can click any of the links for individual books below. It Was Only on Stun! is ... somwhere. A lot of people hated that one, so I don't have the link offhand. I'm not against amazon in other choices, but every time I've bought a kindle file I've come to rue the moment unless I traded it for an epub with the writer. If that' snot going to get you into Kindle-trouble, gimme the price for the trilogy and this book (and let's try "Stun!") and a paypal account (sorry I can't take that from amazon, but the US-EU conversion plus the VAT charges tend to make things unpredictable). Send me something at DeclanFinnInc@aol.com. We'll work something out. BTW, good news, Honor at stake will be across all ereaders. Please find a way to make Sept. 1 happen RIGHT NOW. I want the vampire book! Oh I can't wait for the Kindle version to come out ~ this almost sounds like a love story with some good violence ~~~ my kind of stuff ! congrats, Declan!